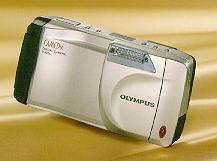 I own an Olympus Camedia 820L camera. There was only Win*** software, to download the images into the computer, so I wrote my own program. The project started 1998, the result was MotifCamedia. This program used some non-public libraries, and I could offer only the executable. 2000 I converted the program to the QT libraries. This makes the program smaller and allows also to give away the source code. The program is free, everybody may use and copy it. I guarantee nothing, use that program at your own risk. I tried my best that it will not destroy your data or hardware. Warning: the sources contain lots of german comments and variable names. If you want to modify it, you should be able to speak a little bit german. Steve compiled KCamedia on his BSD computer. I can offer you also his executable. The correct way to install a Slackware package is change to su or root and issue this command. This way it gets recorded in /var/log/packages so you can see what packages you have installed. Thanks to Steve and Mark.